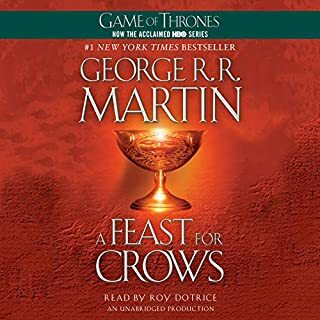 I am looking forward to the last book of the Game of Thrones I thought this book was excellent and very suspenseful. This book was very easy to listen too. King is the best, please write another book soon. From the star of Bravo’s hit reality show Below Deck comes the “Stud of the Sea”'s first-ever memoir recounting his journey from landlocked Saginaw, Michigan to the high seas, where he has spent more than 25 years as a superyacht captain. You don’t have to be one of Below Deck’s 1.5 million weekly viewers to appreciate Captain Lee’s story, which offers a glimpse behind-the-scenes at the luxury yachting industry and one of Bravo’s biggest franchises. 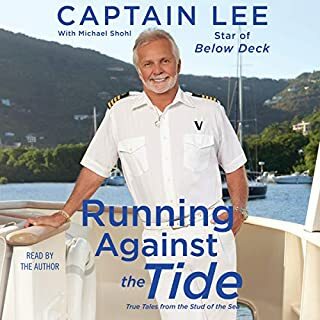 I really enjoyed the book I couldn't stop listening captain Lee is the greatest I'm looking forward to the newest episode I buy the season every year. 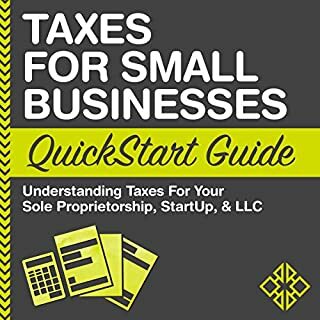 The Tax and Legal Playbook provides 28 comprehensive tax and legal questions facing small business owners, across all stages of business. 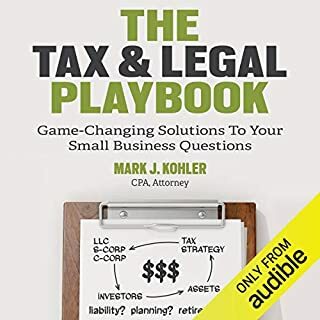 Mark J. Kohler delivers a comprehensive playbook of clear-cut truths, thought-provoking advice, and underutilized solutions to save you time, money, and heartache. Each chapter contains stories and case studies to help explain and illustrate powerful strategies that can save you thousands of dollars! Great Planning and Reference Resource! I really enjoyed this book and what was different about this book. 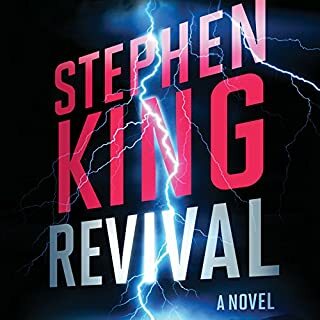 I like the fact that the person who was reading the book was not perfect and certain times I giggled some certain times I laugh in all I enjoyed this book. there is a lot of valuable information in his book. I was able to understand it very well. the person who wrote and read the book did an excellent job. I will be looking for more to come. what I like about this business tax book is that it gets straight to the point. it was well-read I didn't get bored at all. very very easy to Follow. 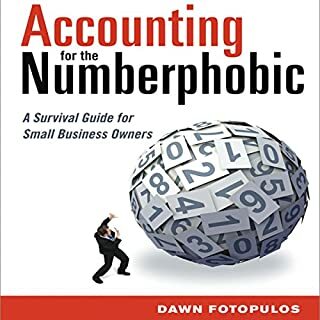 I am more ready now to start my small business I bought this book because of the name numbers are not my strong suit so the name spoke out to me. I enjoyed the stories and the person who read the book they did a very good job I would highly recommend this book I feel more secure about moving forward in business thank you for the information. 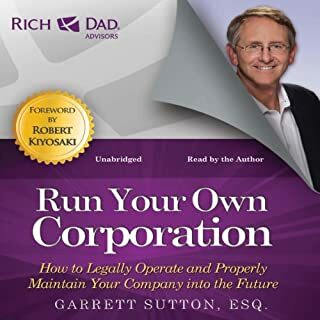 this book was very informative the buddy I am getting in business with is taking a contractor's license class and I learned the same thing that he's learning from the class from this book I recommend highly and thank the people who wrote the book. Also the stories are what kept the book exciting it was very in very smart to separate the stories between chapters. 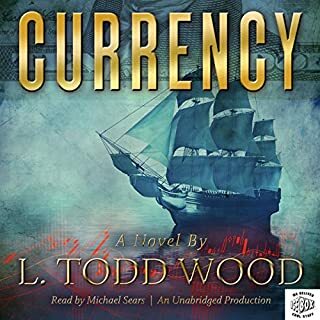 In Currency, Wood has pulled off a first novel that captures the listener with a pause-registering adventure, while it addresses head-on the most pressing and intense global economic, military and political issues of our very challenging current times. Wood's real world experience on both Wall Street and at the center of the US Military Special Operations world, combine with his love of history and command of current global issues, to create a story that is as intense and gripping as it is timely. Currency - Outstanding - A Must Read! It was a good read. I liked the story. maybe next time he will do one on Andrew Jackson.